It's fair to say this venue is popular with diners - 503 of 584 diners have rated the Grange at St Andrews excellent. Set in a converted 17th century farmhouse, this restaurant serves delightful modern takes on Scottish cuisine. Diners can enjoy a three course meal of seared pigeon breast, pan roasted halibut and tonka bean panna cotta for £48. This restaurant is dedicated to two things; mouthwatering Belgian waffles and gorgeous Glen Lyon coffee. From fish and chips to macaroni cheese, all dishes served at this South Street restaurant are plated up on top of a sweet or savoury waffle. Vine Leaf Restaurant's eclectic menu is a hit with St Andrews locals, with 481 reviewers deeming the restaurant excellent. Menu favourites include eight hour slow roast lamb and Spanish ox cheek. The Tavern is everything you could want from a pub, charming, welcoming and well stocked with excellent food and drink. One TripAdvisor reviewer described the restaurant as "worth the short drive" from St Andrews, while another pleased diner praised the bars "cosy setting". Situated in the centre of St Andrews, the Keys Bar is one of the city's best independent bars. Two thirds of the Guardbridge Inn's visitors described their experience as excellent, with reviewers delicious food and "pleasant" service. Customers can either dine in the family restaurants busy bar area, or the eatery's airy outdoor space. Situated on the periphery of the famous Old Course, this restaurant and bar is hugely popular with golfers looking for a nineteenth hole. 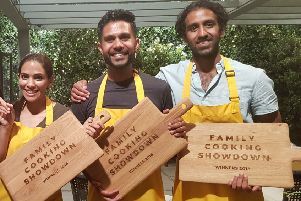 Ravenous players can enjoy a three course meal for £35, with classical dishes such as chicken supreme and steamed mussels among the dishes on offer. This award winning seafood restaurant taking advantage of St Andrew's proximity to the rich North Sea. 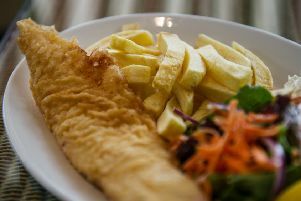 The eatery provide a humble but unforgettable fish and chips for £7.95. Popular with locals, over 1,000 diners have rated their visit to Little Italy as excellent. Most Italian favourites are available at the lavishly decorated restaurant, from Lasagne al Forno and Insalate Caprese.